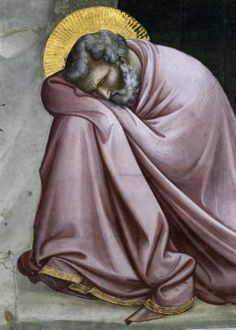 God in his limitless mercy has sent His only begotten Son into time and place – then and now; into the world of sin and death – then and now; into grief and sorrow . . . terror and shame, then and now. God has mingled time and the fullness of eternal joy into the person of the human/divine Jesus. God has entered, enters and will always continue to enter fully into the time and place of us – all of us – God’s people. God brings salvation from all that destroys us. Today, wherever we live, TODAY is born our savior, who is the promised one. This is the gift of Christmas. Hope is announced at Christmas. Hope was announced from the pulpits all across the Christian world some 2000+ years after they were brought to fulfillment in an infant child, born of a poor Jewish woman. May this promise open the doors of our shuttered heart to hope. 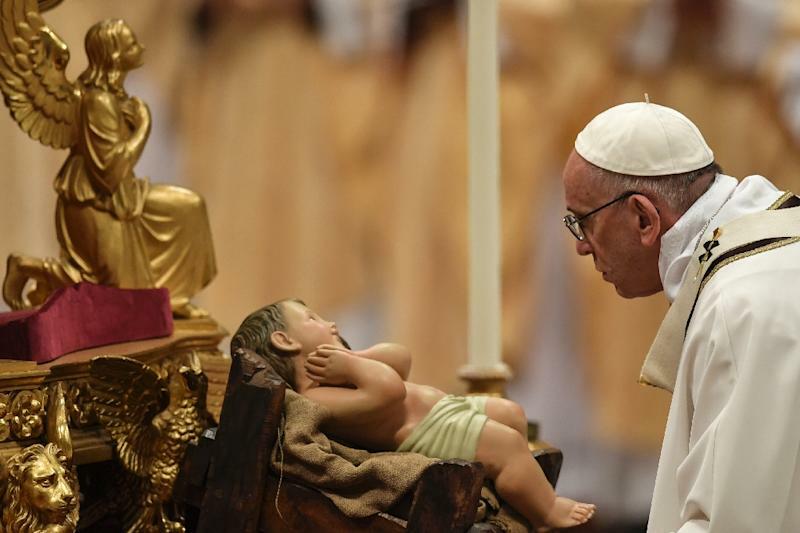 This is a night and the day when each one of us who takes the time to do so, can gaze into the face of the Christ Child and see the light of hope, the power of courage and the energy to take up life and live it fully. This is a night and a day to gather with family and friends, to sing or talk, to play games or to walk, to eat and share stories, but above all to notice one another, and to see God’s people, the people who walked in darkness but now see a great light. Look into the fear and death that surrounds you or even fills your heart, and know that God is gazing at you from the heart of mercy, bringing light to darkness and life where there seems only death. Know this: Christ reigns from the throne of your human heart if you give him room in the inn of your being. His reign is mercy. Rejoice oh Daughter Zion! Your salvation comes through the love of a human - conceived and born - to disclose and share love alone. The people who walked in darkness have seen a great light; . . . While they were there, the time came for her to have her child, and she gave birth to her firstborn son. She wrapped him in swaddling clothes and laid him in a manger, because there was no room for them in the inn. . . .
say to daughter Zion, your savior comes! . . . When the kindness and generous love of God our savior appeared,not because of any righteous deeds we had done but because of his mercy, . . . So they went in haste and found Mary and Joseph, and the infant lying in the manger. . . The LORD has bared his holy arm in the sight of all the nations; all the ends of the earth will behold the salvation of our God. . .
in these last days, he has spoken to us through the Son, whom he made heir of all things and through whom he created the universe, . . .
What came to be through him was life,and this life was the light of the human race;the light shines in the darkness,and the darkness has not overcome it. (Texts from the three Masses of Christmas). Now in a way, there is nothing whatsoever wrong with these ideas and sentiments. Who could possibly be against treating others with respect, offering forgiveness for offenses, and caring for those in need? And I certainly don’t blame President Obama for making these remarks. Both Democrat and Republican presidents, in their capacity as chief magistrates of the civil religion, have expressed similar convictions for many years. What does bother me, however, is reducing Christmas to a level so low, so banal, that the great Christian feast is offensive to precisely no one. If President Obama is right, even those who profess no belief in God should welcome Christmas with nothing but enthusiasm! But this sort of reductionism is, in fact, directly repugnant to a feast which, in its essence, is revolutionary, subversive, and, if properly understood, offensive to just about everyone. Why would the arrival of a tiny baby, who would grow up to bear a message of love, have excited such negativity? We must remember that the child is described as a king, which means someone who comes to rule; more precisely, he is characterized as king of the Jews, and this was the very title that Herod claimed. Therefore, Herod, quite correctly, saw him as a threat to his prerogatives and position. But why would the entire capital be in an uproar? We must recall what the Bible consistently says about cities, that is, the way we human beings typically organize ourselves politically, socially, and culturally. Cain, the murderer of Abel, is the founder of cities; Babel, full of arrogance and imperialistic designs, is seen as a typical city; and Jesus himself implied that the devil controls all the cities of the world. The trembling of all of Jerusalem at the birth of the baby king is a function of the demand that that king will eventually make, the change that his rule will affect. Just to drive this point home, Matthew tells us that Herod, having been duped by the Magi, furiously lashed out, ordering the murder of every boy in Bethlehem under two years of age. Not exactly the reaction of someone who is just delighted that the Christmas season has arrived! If we examine Luke’s account of the birth of Jesus, we find very similar motifs. Luke sets up his story as the tale of two rival Emperors: Caesar, the king of the world, and Jesus, the baby king. While Caesar rules from his palace in Rome, Jesus has no place to lay his head; while Caesar exercises rangy power, Jesus is wrapped in swaddling clothes; while Caesar surrounds himself with wealthy and sophisticated courtiers, Jesus is surrounded by animals and shepherds of the field. And yet, the baby king is more powerful than Augustus—which is signaled by the presence of an army (stratias in the Greek) of angels in the skies over Bethlehem. All four of the Gospels play out as a struggle, culminating in the deadly business of the cross, between the worldly powers and the power of Christ. For Jesus is not simply a kindly prophet with a gentle message of forgiveness; he is God coming in person to assume command. He is the Lord. 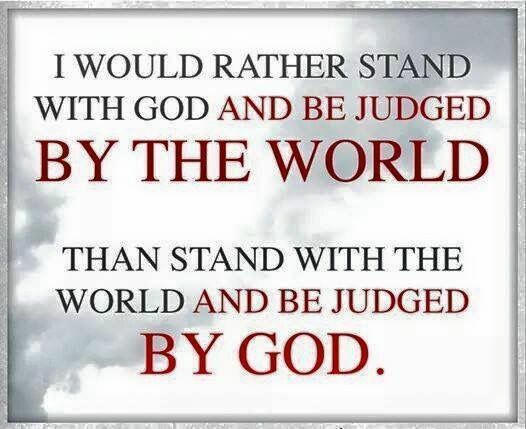 And the entire New Testament couldn’t be clearer that his Lordship means that all those who follow a contrary rule—meaning, pretty much every one of us—are under judgment. To be sure, the distinctive mark of Jesus’ Lordship is love, compassion, forgiveness, and non-violence—but this is not the stuff of sentimentality and warm feelings. It is a provocation, a challenge, a call to conversion of the most radical kind. The name Joseph comes from the Hebrew root Yosef, which means, "He will add," or "God increases." In the Old Testament, we meet one named Joseph, the favorite son of Jacob, the one who struggled with God. 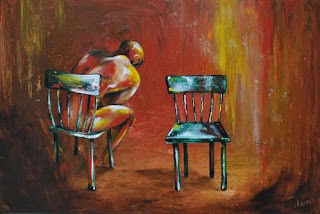 The special treatment Joseph received from his father and the large ego that developed from it, prompted his 11 brothers to sell him into slavery. Through a series of God-ordained circumstances, Joseph was appointed manager of the food supply of Egypt during a devastating famine. 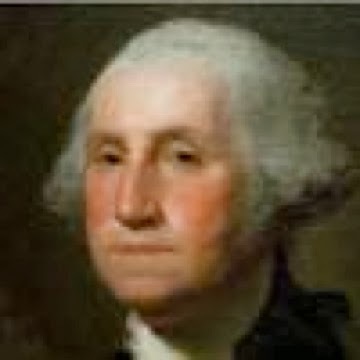 This Joseph showed God's increase in his personal life -- rising from slave to government official -- and in his public life by saving Israel when the famine threatened the nation with starvation. Now Mary's fiance Joseph is also a wonderful example of God's increase. When it would have been much easier to separate from Mary and the child she was having, Joseph listened to God and stayed with her. He didn't take matters into his own hands, but allowed God to work in his life, and the lives of Mary and their child. At the prompting of God, Joseph names the baby Jesus, takes his family to Egypt when threatened and brings them back when an angel tells him it is safe to do so. Joseph consistently gets out of the way to make room for God to do God's work in his life. He allows God to add to him, rather than trying to force his own will, even when God's plans completely alter the course of his life. We need to be more like Joseph, someone in whom the presence of God grows large. We often consider advent as a countdown to Christmas. Children light candles on the Advent wreath each Sunday, marking how our celebration of the arrival of the light of the world draws near. Parents purchase Advent calendars for their homes that serve as timers for the children, showing them just how many "sleeps" there are until Christmas. Advent is also a time of waiting and preparing for Jesus. Jesus' story is not over. We live between Jesus ushering in the kingdom of God and it arriving in its fullness when he returns. As we prepare to celebrate the glorious gift of Jesus coming to us on that first Christmas morning wrapped in swaddling clothes and lying in a manger, we also remember that we are called to wait patiently and prepare for the coming of Jesus again. Sometimes, the wait is for Jesus' healing hand to arrive in the brokenness of our lives. During this season, we cry out with our children, "Please, Christmas, don't be late." In patience, we enter into the presence of Christ with us every day, living as though the return has already happened. The "O" Antiphons are antiphons used to introduce the Magnificat at Evening Prayer on the last seven days of Advent. Each antiphon is a name of Christ, one of his attributes mentioned in Scripture: December 17: O Sapientia (O Wisdom) December 18: O Adonai (O Lord) December 19: O Radix Jesse (O Root of Jesse) December 20: O Clavis David (O Key of David) December 21: O Oriens (O Dayspring) December 22: O Rex Gentium (O King of the nations) December 23: O Emmanuel (O God is with Us) . Advent is beginning its fourth and final week. We are so focused on Mary and the Infant Jesus that we often overlook what a remarkably courageous figure Joseph was in responding to his mysterious call in a dream to take the pregnant Mary into his home as his wife. I would suspect that if I had a dream where an angel commanded me to do something similar that I would wake up thanking heaven that the message was only a dream. Yet the Christmas story would have had a very different outcome if St. Joseph had done the first century equivalent of taking two aspirin and moving on because Mary’s explanation of her situation was crazy. Joseph obviously had a lot more faith than most of us. Take a few minutes to reflect on your life to identify a time when God has called you to do something that has made all the difference. You just have to listen and act in faith when this happens even it the meaning is unclear. who know what it means to be consoled by God. Therefore, deep down, we are the people who are comforted; and we are the last refuge for the homeless people who do not know anything about the Lord anymore . . . .May we impart the goodness. May we attend to humanity again, and witness to the Lordship of God again, and know of His grace and mercy . . . .may we go away from Christmas Eve with the consolation that we mean so much to God that no external distress can rob us of this ultimate consolation. Our hearts must become strong, to make the divine heartbeat into the law of life again. We have become accustomed to the idea that what God asks of us, the great basic teachings of our lives, and the great responses required by God are somehow accessories”as if we can take them or leave them”as if they are just trinkets for those who choose to accept them. We have very often forgotten that the God of freedom”the God of grace and divine humanity”is a God who challenges us. God wants to be taken seriously, wants to be all, not just an accessory. He does not just leave it to chance whether we say Yes or No. A time comes where our refusal is refusing the fulfillment of our lives, because we have not taken God into account and have not dealt with the Lord God in discernment. The deepest meaning of Advent cannot be understood by anyone who has not first experienced being terrified unto death about himself and his human prospects and likewise what is revealed within himself about the situation and constitution of mankind in general. The first finding: insight into, and alarm over the powerlessness and futility of human life in relation to its ultimate meaning and fulfillment . . . The second finding: the promise of God to be on our side, to come to meet us. History now becomes the Son’s mode of existence; historical destiny becomes His destiny. He is to be encountered on our streets. In the darkest cellars and the loneliest prisons of life, we will meet Him. And that is already the first blessing and consecration of the burden: that He is to be met under its weight. By ourselves and with our own strength alone, we will not manage . . . . The theological principle that a man, by his own strength, cannot even sustain the basic ethical level of natural principles is the rationale for the misery that we are living through today. As we approach the end of the Advent season we understand that advent is the season of hope and reflection. It is a time of prayerful expectation for Christians who await the Second Coming of the Lord, just as they celebrate his birth at Christmas. Many, however, do not really appreciate its significance, or see Advent as a dramatic call upon their lives. One man who did was Fr. Alfred Delp. Fr. 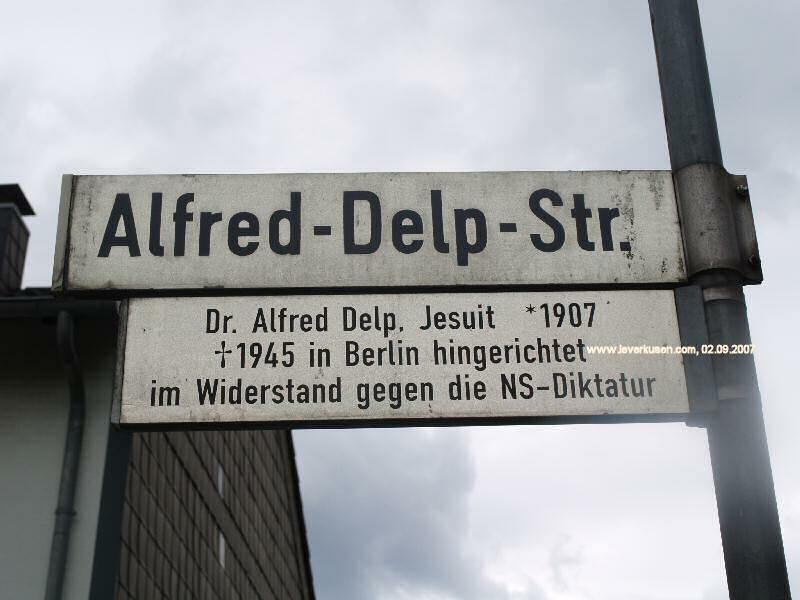 Delp was a German Jesuit who joined the anti-Nazi Resistance, he was arrested and executed for his activities in 1945. Though not as well known as other martyrs, the writings he left behind are among the most moving in Christian literature. Fr. 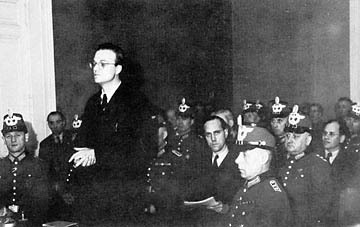 Delp believed advent to be central to the Christian life. Christmas has always been subject to many misunderstandings. Superficialities, taking refuge in familiarity, idyllic playing around with Nativity scenes, and so forth, have displaced our view from the tremendous event this holy day represents . . . .One must take care to celebrate Christmas with a great realism . . . .One should bear in mind that we are celebrating the feast of God becoming man . . . .That is how man must understand it. It is the incomprehensible fact of God entering into history; that He stepped into our law, into our space, into our existence”and not only like one of us, but as one of us. That is the thrill and the incomprehensibility of this event. Truth is the essential theme of life. Everything else is only expression, result, application, consequence, testing, and practice. 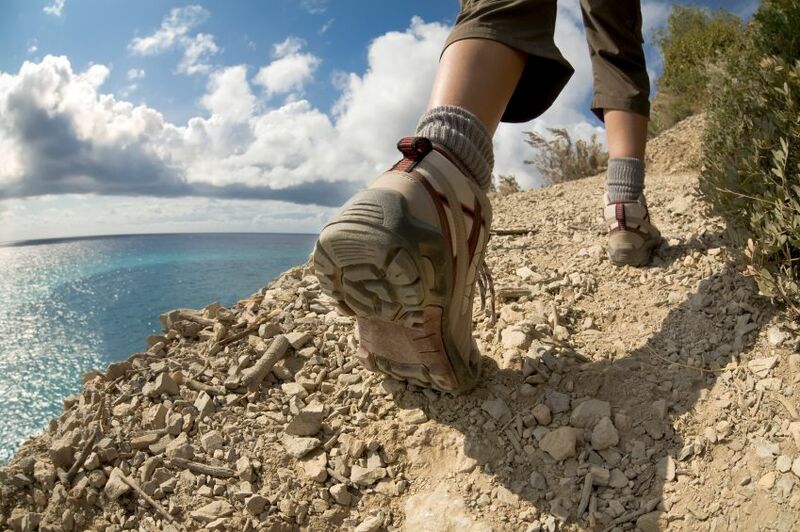 May God help us to wake up to ourselves and in doing so, to move from ourselves toward Him. Every temptation to live according to other conditions is a deception. Our participation in this existential lie is really the sin for which we today”as individuals, as a generation, and as a continent”are so horribly doing penance. The way to salvation will be found only in an existential conversion and return to the truth. One could mistakenly believe that Advent is about a squishy, adorable baby who mysteriously appears annually at this time of year. Yet this child who is born to us, this Son who is given is the Savior of the world. The Advent season asks us to prepare our hearts to receive a love that is humbling in its passion and amazing in its depth. God's love does not fade, weaken or diminish. It's offered to us fresh and new every day. What are we asked to do for this love? Simply say "yes" to God who is always willing to give us more. Let's remind ourselves that, on the church calendar, Advent is, in fact, not just a prelude to the celebration of Jesus' birth in a Bethlehem manger. Rather, it's a time to think more broadly about God's coming ("advent" means "coming") not only in the past, when Jesus was born, but also in the future, when he comes again. And from our perspective, living long after his first coming, it is his return that should concern us most. "It is very remarkable that we face the thought that God is coming so calmly," he said, "whereas previously peoples trembled at the day of God. ... We have become so accustomed to the idea of divine love and of God's coming at Christmas that we no longer feel the shiver of fear that God's coming should arouse in us. We are indifferent to the message, taking only the pleasant and agreeable out of it and forgetting the serious aspect, that the God of the world draws near to the people of our little earth and lays claim to us ..."
As we celebrate Advent and Christmas, we're fully aware of where God's love is leading us. 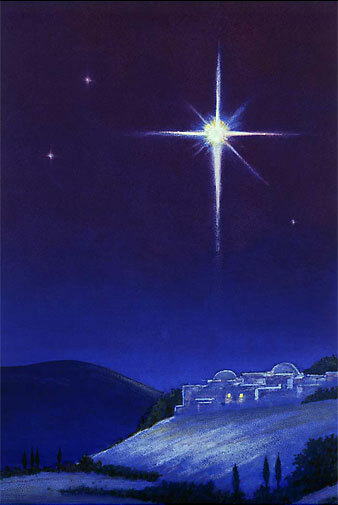 The love might begin in the softly starlit manger, but it inevitably will lead to the harsh noonday sun reflecting on the Cross. God knows this, of course, but does not shy away from the pain that is coming. God's extravagant love is demonstrated in God's willingness to give sacrificially. God bestows the most precious gift, God's Son, knowing that this offering will not be appreciated, honored, or at times, even recognized. Yet God also sings, "can't regret what I did for love," as this love which is freely given is leading God's beloved children home. "Be patient," says St. James. Seek to live as those who are already citizens of the kingdom of God. We wait for Jesus to return and make the world what it was intended to be -- a reflection of our God of grace and love. 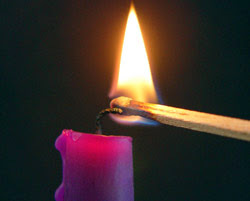 Advent is a time of patiently waiting, a time to prepare, a time to remember. During this season, we cry out with our children, "Please, Christmas, don't be late." In patience, we enter into the presence of Christ with us every day, living as though the return has already happened. Patience is not grumbling about our brothers and sisters because we know there is a better day to come. Patience is trusting that our struggle is in Jesus' hands, even when we cannot see the outcome. Patience is living today as if Christmas has already come, as if Jesus has already returned. And so we patiently wait and prepare. Please, Jesus, don't be late. Isn't Advent a countdown to Christmas? The children light the candles of the Advent wreath each Sunday, marking how our celebration of the arrival of the light of the world draws near. Parents purchase Advent calendars for their homes that serve as timers for the children, showing them just how many "sleeps" there are until Christmas. Advent is also a time of waiting and preparing for Jesus. Jesus' story is not over. We live between Jesus ushering in the kingdom of God and it arriving in its fullness when he returns. As we prepare to celebrate the glorious gift of Jesus coming to us on that first Christmas morning wrapped in swaddling clothes and lying in a manger, we also remember that we are called to wait patiently and prepare for the coming of Jesus again. Sometimes, the wait is for Jesus' healing hand to arrive in the brokenness of our lives. "Be patient," St. James writes, and we strive to live as those who have already been made whole. 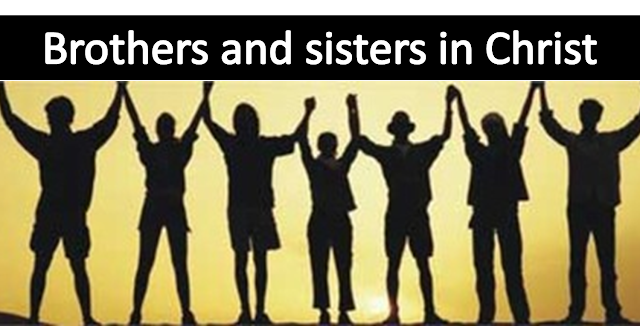 Our Marianist high schools have developed a special relationship with the Little Sisters of the Poor over the last 25 years. Yearly we collect toiletries for the elderly poor who reside at Queen of Peace Residence in Queens Village, NY. This year our camera crew ventured over to Queens Village on Veteran's Day and compiled this short video to encourage our students to participate in our Annual Appeal. Many thanks to those who assisted in contributing to the elderly of Queen of Peace Residence. And to those who still want to contribute ! That can be done my dropping off items at our two high schools or at Queen of Peace. Queen of Peace 2016 from Kellenberg Memorial Video Produc on Vimeo. 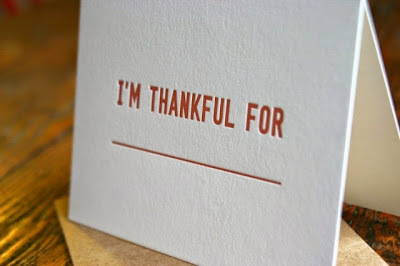 "Thank you, Lord my God!" 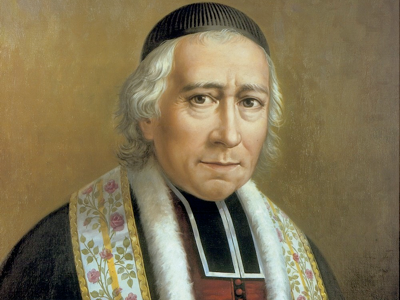 HAPPY 200TH ANNIVERSARY, MARIANIST SISTERS! 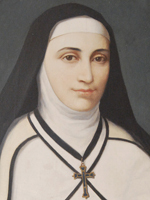 On May 25, 1816, in the town of Agen, France, a young woman of aristocratic birth consecrated her life to the Blessed Virgin in a new and powerful way. On that day 200 years ago, Adèle de Batz de Trenquelléon established the Filles de Marie Immaculée, the Daughters of Mary Immaculate, whom we know as the Marianist Sisters. Adèle felt called to religious life at an early age. Through a fortuitous series of circumstances, Adèle came into contact with a priest named William Joseph Chaminade. 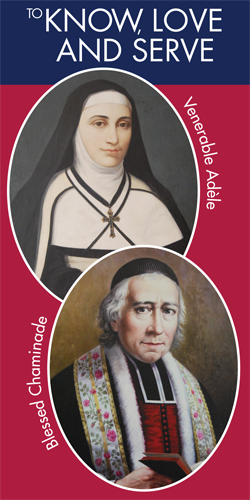 Adèle and Chaminade were kindred spirits. Both had dedicated their lives to God and their talents to rebuilding the Church in France in the wake of the revolution. Today, Marianist Sisters minister in 14 countries across the globe. They serve in education, pastoral ministry, retreat leadership and social justice, touching the lives of thousands of God’s children every day. having but one heart and one soul. can be lived in all the force of its letter and spirit. to the servants at Cana: "Do whatever He tells you." according to the needs of time and place. and to share their joy and hope, their grief and anguish. will not tarnish or weaken the power of his word. which wishes to bring to the world the liberation of Jesus Christ. The more attentive our watchfulness, the greater our apostolic boldness. gave her in his plan of salvation. as a precious gift of God. may form us more fully to the image of her Son. and the first to be saved from evil and death. She shows us the way of true Christian life. Mary's warmth of welcome to God and to others. to the mystery of our vocation. Friends, today in the Gospel Jesus describes the world’s violent resistance to the establishment of God’s kingdom. From the earliest days until the present, the community of Jesus Christ has been the focus of the world’s violence. There is the old principle: “Kill the messenger,” and it applies here. The Church will announce, until the end of time, that the old world is passing away, that a new world of love, non-violence, and life is emerging. This announcement always infuriates the world of sin—always. 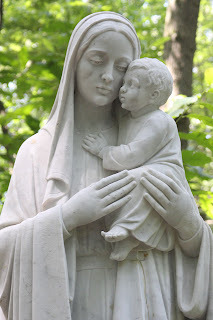 FamilyOnline is featuring occasional peeks into the past to celebrate the bicentennials of the Daughters of Mary Immaculate and the Society of Mary, . 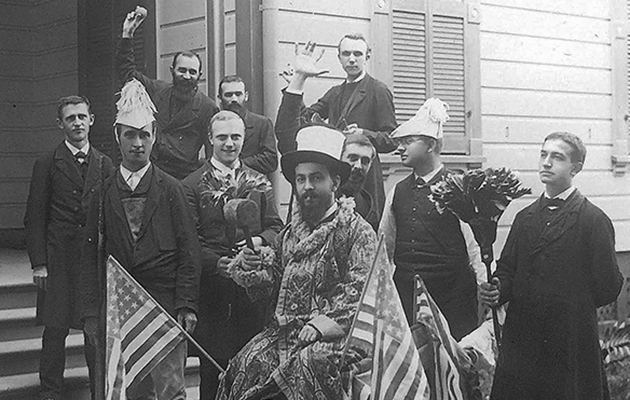 This photo was titled “Cleveland’s Victory” and shows Marianists in Honolulu presumably celebrating the election of Grover Cleveland. Cleveland was the only U.S. president who served non-consecutive terms, being elected in 1884 and 1892. This photo is likely from the latter election, although it’s not clear why the berobed brother in the middle grasps a mallet, or why two others wield feather dusters. Perhaps presidential elections were immoderate affairs even back then. These brothers would have been teachers at St. Louis College, which is now Saint Louis School. 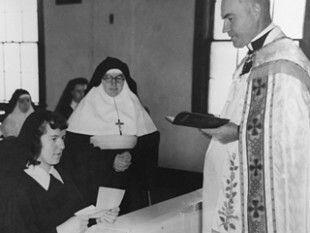 Photo from the collection of the National Archives of the Marianist Province of the United States.